The main additions to Mazda Connect are the integration of Apple CarPlay and Android Auto features. The upgrade also will be offered on 2018 Mazda6 and 2019 CX-3 models as a mid-year rolling change which startes with September production. Other models will follow. 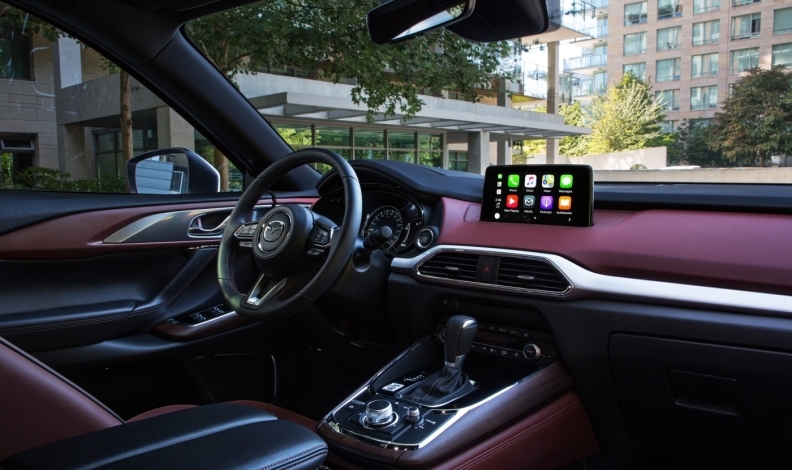 The main additions to Mazda Connect are the integration of Apple CarPlay and Android Auto features via a USB port and a complimentary five-year trial of SiriusXM’s Traffic Plus and Travel Link data services as part of the vehicles navigation system. In addition, owners of current 2018 Mazda6 and CX-3 models can order a dealer-installed retrofit kit to upgrade their Mazda Connect systems for a promotional price of $250 until Feb. 28, 2019. The upgrade retrofit eventually will be available for $445 for all vehicles equipped with Mazda Connect and the Commander human-machine interface (HMI) control knob located on the centre console, Mazda Canada said. Some 270,592 Canadian Mazdas are eligible for the upgrade, compared with about one million U.S. vehicles. Mazda’s philosophy in designing infotainment systems and instrument displays is to minimize sources of driver distraction and things that detract from a pleasurable driving experience, said Matthew Valbuena, an engineer at Mazda’s North American operations. For example, he said, research has found using a control knob such as Commander was more precise and created less distraction than trying to access functions via touchscreen. The control knob and cluster of five buttons around it are positioned in the same arc for the driver’s arm as the vehicle’s shifter. Mazda’s head-up display also shows only information essential to vehicle operation such as speed, cruise-control setting, passive safety warnings and navigation. “You’re not going to see who’s calling you on your windshield,” Valbuena said. Asking prices for the 2019 CX-9 will start at $36,700 (not including freight and dealer charges) for the GS model, rising to $51,500 for the Signature model. Integration of Apple CarPlay and Android Auto via more powerful, faster-charging 2.1-amp USB port, defaults to Apple Siri or Android OK Google voice recognition when phone is plugged in. Complimentary five-year subscription to SiriusXM Traffic Plus and Travel Link data services, providing live traffic updates, location services, nearby fuel pricing, sports scores and other features displayed on navigation screen. Availability: 2019 CX-9, followed by rolling change for 2018 Mazda6, 2019 CX-3, other models (except MX-5) later through 2019 model year. Upgraded USB port enabling use of Apple CarPlay and Android Auto via smartphone, latest version of Mazda Connect software. Dealer-installed upgrade for current buyers or owners of 2018 Mazda6 and CX-3 models for $250 until February 2018. As inventory levels rise, all vehicles with Mazda Connect and Commander HMI can upgrade for $445. Vehicles eligible for the upgrades include: MY2016 CX-9, CX-5, CX-3, 2017 MX-5 RF, 2016 MX-5 (except GX), 2016 Mazda6, 2014 Mazda3.